Recently, I’ve noticed an increase in the number of people getting cross about legal aid. I don’t know whether this can be causally linked to the backing tracks expertly laid down by our new Lord Chancellor, adopting the smooth jazzy beats of her pre-predecessor Chris Grayling to create a steady percussive “legal-aid-bad, legal-aid-bad” filtering through her more recent public pronouncements. Or whether it is linked to the influx of legal aid scare stories pumped out of the Ministry of Justice’s favourite tabloid antagonists. Or whether, like the tide, anger over legal aid is perennial, dipping out of eyeline only temporarily before its inevitable resurgence in deference to the gravitational pull of the moon. Or, for those of the Douglas Carswell Academy of Astronomy, the sun. But whatever the cause, it’s always dispiriting to see the Legal Aid Monster rear its mythical head, not simply because the call for its restriction threatens my narrow self-interest (DECLARATION: I have fed and clothed myself thanks to legal aid), but because it again reinforces how poor a job we in the system are doing in explaining to people why legal aid matters. The Legal Aid Monster. 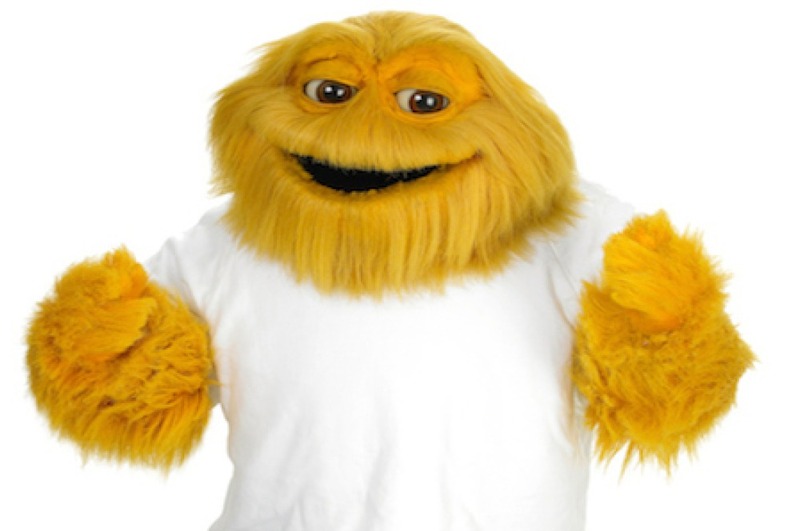 Or Honey Monster. I forget which. This morning I have enjoyed a spirited exchange of views with a Twitter user who I understand to be involved with or linked to the police, whose views on criminal justice I always enjoy hearing (particularly the anonymised Tweeters with the liberty to speak freely about the chaos in which they are forced to operate, such as @InspGadgetBlogs and @ConstableChaos). Quite often, we echo each other’s despair at the non-workings of the system; sometimes, police officers offer an insight into problems that barristers don’t see first-hand, but which inform the issues that we deal with in court. Today, by contrast, my partner and I came at the issue of criminal legal aid from the polar extremes. I think there’s not enough of it, and that people are often left without adequate (or any) representation; he thinks that there is far too much, and that it should be removed entirely from repeat offenders. His view, I speculate, is one that might prove popular with people fortunate enough to have avoided the criminal courts. He is certainly not the first person to have expressed it to me. But it’s a view which, with respect, is based on a fundamental misunderstanding of the purpose and function of criminal legal aid. Let’s start with the proposition that legal aid should be “for the needy”. A lot turns on that definition, but it is employed above in contradistinction to “career criminals with multiple convictions”. So I infer that by “needy”, the writer means “not guilty”. Or at least, “not guilty very often”. Which is problematic. For me, legal aid should be available to anyone whom the state accuses of a criminal offence. Like healthcare or education, it should be a universal civil right. You don’t choose to get ill or be born, so healthcare and education are provided by the state. You don’t choose to be accused of a criminal offence, so you should have the right to properly funded legal advice and representation when the state engages you in criminal litigation. Of course, some people invite criminal proceedings by committing the offence, but we only know that once proceedings have started and guilt has been admitted or established. I have no problem in principle with recovering the cost of legal aid and/or criminal proceedings from convicted defendants who have the means, but the flaw in the “legal aid for the innocent” argument is that you need the former before you can determine the latter. Why do I say that? Surely, channelling the mantra of the magistrates’ court, a defendant knows whether he’s done it? Well, he may know that he’s done something. But knowing whether he’s committed the specific criminal act alleged by the state is something else entirely. He may know, for example, that he pushed past the shop assistant, nipped behind the counter, tried to grab money from the till but in fact grabbed a tenner that (unbeknownst to him) a customer had just put on the counter to pay for some cigs, and then grabbed the cigs and threw them to his mate (unwittingly striking him in the eye and blinding him) before running off and accidentally knocking over a wonky display of uber-breakable glasses on his way out. But, as law undergraduates would be asked in this funhouse of an exam question, who is guilty of what? Is the first defendant guilty of theft? Burglary? Robbery? An attempt at one of those? If so, who is the victim? What level of assault is he guilty of, if any? Is he guilty of criminal damage if he didn’t mean to knock over the display? What of his mate? Is he guilty as a joint principal or an accessory? Or is he guilty simply of handling stolen goods? Or receiving criminal property? And what difference would the various permutations of charges make to his sentence? My adversary suggested that a career criminal would know just as well as a lawyer which offence he has committed. My response was that his having attending a dentist once a year for 50 years does not qualify him to conduct root canal surgery. If I’d had more than 140 characters, I’d have posted the paragraph above. Criminal law is complex. It’s not something that can be absorbed by proximity. And it matters that it’s done right. It matters because, whether you’re a nice or a nasty person, you should not be convicted of an offence that you have not committed. Not only because it offends fundamental notions of fairness and justice, but because once we accept wrongful convictions as an acceptable bargain in a cost/benefit trade-off, we endanger not just the individual but wider society. If, as the commentator suggests, we remove legal aid from repeat offenders, we put them at the mercy of the prosecution agencies. It will not simply be a case of a defendant mistakenly pleading guilty to robbery (maximum sentence life imprisonment) when he is in law only guilty of theft (maximum sentence 7 years), but of defendants, unqualified and unable to present their own defence, being convicted of offences of which they are wholly innocent. Because the police do arrest entirely innocent people. And the CPS charge them with the wrong offences. And the only obstacle to a lengthy, undeserved prison sentence is a defence solicitor or barrister, challenging the prosecution case, testing the factual and legal correctness of the allegations and fighting their client’s corner. Without a lawyer, a defendant is often a sitting duck. And if there were a system where the police, under pressure (as they are) to improve clean-up rates and buff their statistics, knew that charging repeat offender Big Dave with a burglary would see him being denied legal aid, whereas charging first-time offender Small Steve for the same offence would result in a defence lawyer fighting his case, there is a mighty incentive in place to pin the crime on the man with two arms tied behind his back, irrespective of the evidence. While most police would not, some would bend to the temptation. Some already do. We would thus roll into a system that encouraged prosecutorial malpractice. The wrong people being convicted, and the even wronger people – the real burglars, thugs, rapists – getting away with it. Legal aid for career criminals isn’t a treat or privilege to personally enrich them. It is a safeguard that ensures, as best we can, that when the cell door slams shut, society has satisfied itself that the person inside is the person who is guilty of the offence. Removing legal aid in such cases may satisfy some primal urge to vengeance, or natural hostility towards those who repeatedly breach our social and criminal codes, but it makes us no safer, saves us no money, and, in the long run, would make our streets a far more dangerous place. This entry was posted in Contemplations, Lawsplaining, Legal Aid, Politics and tagged Courts, Crime, Law, Legal Aid, Police. Bookmark the permalink. The argument concerning Legal Aid can, as has done, role on for years without a satisfactory outcome. To my mind at the heart of the problem is the cost to the public purse which to a certain point lawyers are responsible. Very few professions can control their income by providing, in most cases contentious advice. When, in the event of their advice being deemed poor advice, they still recieve payment. Indeed at a recent trial at Birmingham C.C the view held by prosecutors was that the trial judge would be ‘unhappy’ at seeing seasoned lawyer, close to retirement, in the dock. The view expressed was that we would fail at half time! I should add that that was not the eventual outcome. I) Public Defenders Service where all lawyers recieve graded renumeration. To my mind the problem would then be resolved. Ii) All consultations in police stations should be recorded in line with P.A.C.E interviews. These recordings, properly timed and logged, would be only accessible to a governing body. The benefit of this would to provide confidence in the system and scrutiny if and when required. Iii) Legislation such as P.A.C.E, replacing the current ‘Guidance’ setting out in law what lawyers can and cannot do when providing advice. In addition to the above, as with Constable Chaos, Inspector Gadget I perfer anonymity. Not to shield my self from criticisim, but from some very nasty people I’ve had the occasion to meet during the last 30 yrs.